Dronepro is the premier custom drone builder providing companies, individual pilots and arial drone manufacturers with the very best in UAV technology. We create drones that fly higher, record more information and present the highest quality arial images in the industry. Drone Pilots - Do You Need jobs? If you are a qualified drone pilot then join the Dronepro team and receive referrals from people and businesses that are in need of drone services. We have a wide range of people that are in need of aerial drone services. Top companies that need drone advertising footage. Individuals that want to record an event or place. Building inspection services such as factories. Top Drone companies are generally separated into stock products and custom drone builders. Dronepro offers a wide array of motor, blade, battery life and camera selections to get you the drone you want. Custom drone builders and manufacturers create products that meet your height, hover and camera specifications. Aerial Technology International (ATI) manufactures industrial grade, aerial robotics and turn-key unmanned aerial system (UAS) solutions for cinematography, mapping, agriculture, industrial inspections, and public services. Aerial Technology drones do not support the hobby market. Aerial Technology include multi-rotor system, autopilot navigation, as well as complete unmanned aerial systems. 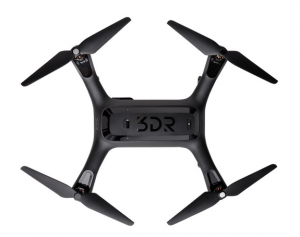 They provide high grade air-frames, reliable flight controllers, and the smooth camera mounts. ATI aircrafts incorporate a flight system that makes it easy for pilots perform advanced maneuvers, even out of sight. Each pilot radio is outfitted with a custom seven inch LCD monitor and are easy to use with a variety of control methods. From fully autonomous control, with an iPad, to precision operation via joystick commands, their Drones offer ease of use and flexibility to ensure that you can accomplish your needs. Flite Evolution builds, sells, and services custom UAV and drone related systems. They offer premium battery powered, Ready-to-Fly, radio controlled drones. Their UAVs are offered as line of site, FPV (First Person View) and fully autonomous which can be tailored to fit your needs, flight objectives and missions. Flite Evolution’s customers include police and fire departments, the US armed forces, farmers, ranchers, fishermen, facilities maintenance crews, the agriculture and mapping environment, private pilots, video production specialists and hobbyists. Fixed wing platforms are built for hobby, training, surveillance, reconnaissance and mission planning with flight times over 30 minutes and ranges exceeding 1 mile. Quadcopter and multirotor platforms are built for hobby, training, surveillance, reconnaissance and mission planning with flight times of 15 minutes to 1 hour. The vehicle control equipment includes GPS, Power Sensors, and OnScreen Displays as well as accessories such as transmitters, receivers, and more FPV gear. Aerial Data Systems provides FAA certified UAS Training, Solutions and Custom Technology Drone Solutions. Aerial Data Systems can help you learn how to operate your UAS from FAA certified instructors, showing you how to operate it safely, legally, and efficiently. They even offer courses in order to be ready to take the Airmen Knowledge Test - which is required in order to operate their drones. Aerial Data Systems also provides custom solutions if you need a drone to help achieve your UAS goals - they can create a system that will help. Aerial Data Systems has over 25 years of experience flying commercial and private planes as well as over 20 years of experience building and flying unmanned aerial vehicles. They can help you decide which type of aerial system will achieve your tasks most effectively, determining the right sensors for your needs, as well as training on how to operate it safely, legally and efficiently. AirCover includes drone products that are responsive, autonomous, and can save lives. Their drone products are compact, easy to use, and lightweight. Their compact systems do not need call for a separate vehicle--it can easily fit in the trunk of a car for quick deployment. One person can set it up, launch and monitor in flight. Their drone products weigh less than five pounds and automatically hovers when the controls are released! AirCover also offers Drone Services including consulting in public safety. They have over 35 years of aviation experience in military and public safety operations. AirCover drone professionals assist in Certificate of Authorization (COA) process as well as training programs with pilots as well as maintenance manuals approved by FAA. AirCover’s flagship product is the the QuadRotor and are able to ship to domestic and international customers. Their system architecture is described to include advanced and scalable motion control electronics, firmware and proprietary technologies developed to military standards for military use. AirCover drones are FAA airworthiness validated and fully autonomous systems and they have product development programs which have pioneered integration of UAS with piloted systems at University of Iowa, Operator Performance Lab and other Fortune 500 Aerospace projects designed to protect first responders from imminent life threatening conditions. AutoCopter company was formed in 2009 with their first Precision Ag solution - the only Ag UAV with autopilot software capable of flying for two full hours while carrying three cameras and streaming live video. From there, AutoCopter has developed a series of drone products that have the ability to land and process the images in the field while providing real-time data. In 2016, AutoCopter introduced their Inspector Series of UAV solutions; these unique units carry Thermal and HD Color cameras with zoom, still image capture, and storage. With a full range of camera angles, you are able to record and have a live feed to a ground control station, for real time inspection and survey. AutoCopter drones and products are built in the US as well as tested and flown in North Carolina. Most of AutoCopters products come standard with three cameras, autopilot (auto takeoff, auto fly, and auto land) live video and download, as well as training. You can also set waypoints for flight as well as save missions so you can fly the same missions again. Accurate Automation Corporation is an innovative high technology firm located in Chattanooga, Tennessee specializing in advanced Drones and Unmanned Aerial Vehicles, Transient Voltage Suppression devices, and other technologies. Founded in 1985, AAC is known for its expertise in intelligent control systems and signal processing technology. Their facilities support UAV & USV development and manufacturing as well as plasma research and our ground stations flight tests for jet-powered aircrafts. Accurate Automation designs, manufactures, develops, and tests Unmanned Drone Systems. Accurate Automation has developed a number of USVs for the Navy, is currently working on several USV contracts, and is the unmanned boat supplier for the Navy Expeditionary Overwatch System (NEO). Accurate Automation drones features a family of jet engines, advanced adaptive controllers, telemetry subsystems, and data acquisition systems. They also provide image compression and authentication tools for secure real time transmission via satellite for customers that include the United States Armed Forces, NASA, and the National Science Foundation. Dragonfly Pictures Inc. (DPI) is the industry leader in small rotary wing unmanned aerial vehicles. DPI drones have successfully flown for thousands of hours, are military proven, and are available for industry use. These drones are ideal for critical missions that include stable precision flight, self launch and land, and have a high payload capability. With a background in both helicopters and camera stabilization techniques, DPI was focused on designing and building small, cost-effective autonomous drones with precision photography, advanced data acquisition, and multi-mission capabilities. Their drones are designed for tactical applications in near-earth environments including complex terrain such as urban, jungle and mountainous areas. DPI tandem and multi-rotor UAV designs are ideal for agriculture, precision photography and mapping, search and rescue, as well as other industries where precision flight; self launch/land in unprepared terrain and simple, one-person, fully autonomous operation are key. The company has been awarded twenty Small Business Innovation Research grants on topics that include precision flight, obstacle avoidance, path planning, small to long-range multi-mission unmanned flight, and precision flight in complex environments. DPI has partnered with researchers and organizations including NASA, DARPA, Boeing, Northrop Grumman, Carnegie Mellon, LIDAR USA, Isolair, and more. Let Dronepro be your source for ariel inspections!